Who’s ready for a shopping spree? Whether you’re looking for sleek athletic gear or a new dress for that dinner party you’re hosting, Nebraska’s malls and outlets will bring you the best of the best. From Lincoln to Gretna, here are the 10 best in the state. When visiting Nebraska’s Crossing Outlets, shop more than 80 stores and restaurants. From Adidas to Wilson’s Leather, there’s stores for clothes, accessories, shoes, children, maternity, chocolate, and more. Visit the outlet website to search for coupons, deals, offers that are currently happening at any of the participating stores. 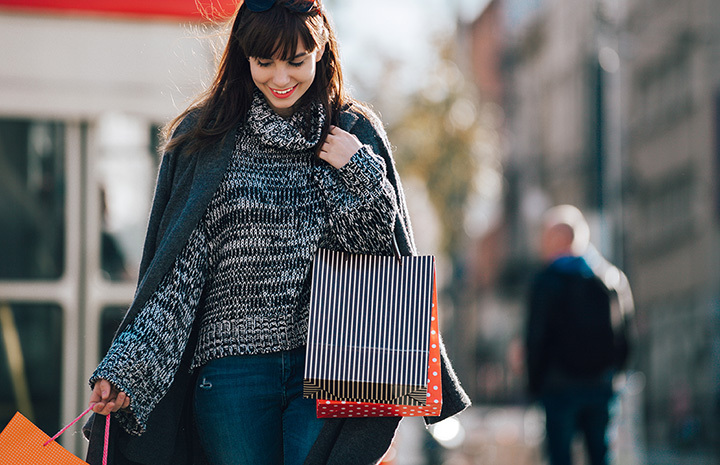 Always check the website before heading out to Gateway Mall; they explain what trends are popular, what rewards are available, as well as where there’s available parking. The directory of stores is helpful as well because it features stores that have sales going on with a small “Sale” box in the corner of the listing. Looking for something different to do for you and the family? Besides just shopping, Shadow Lake Towne Center offers “Tots on the Towne” events for the little kiddies. All events are free, and the schedule is available to download via the center’s website. There’s also a calendar of events that lists activities for the entire family. Drop off the kiddie and supply yourself with some retail therapy or join the children in a fun event. With trendy stores such as Vans and Francesca’s, the Westroads Mall is sure to be a hit for teens and adults alike. Its website lists stores that are newly opened, such as Hickory Farms and Attic Salt. Peruse the website beforehand and plan your shopping day. There are more than 120 stores, so be sure to leave enough time to visit them all. Visit the Conestoga Mall’s blog to find out what’s trending at that mall. Read up on “Fabulous Fall Florals” as well as “How to Style Ankle Booties.” Check out the “Must-Have Outerwear for Fall,” and then visit stores like American Eagle, Dillard’s, and JCPenney to try and find the perfect jacket for the season. Oak View Mall offers a slightly different experience than most malls. With body piercing and tattoo shops alongside eyewear stores and restaurants, this mall can cater to anyone. Get that extra ear piercing you’ve been debating, pick up a new pair of lenses, and grab lunch with a friend—all in one venue. Maybe visit the Fun Zone Arcade for an hour or two before you catch a movie at the Hilltop Theatre. Enjoy a cupcake or two at Smallcakes Cupcakery before the previews end and stop at Sequel Bookshop for a nice novel to read after the movie. It’s difficult to believe Hilltop Mall can encompass so many pastimes—but it does. Go on a treasure hunt at the Old City Hall Mall. Search for a unique mineral or stone, an old volume of your favorite novel, deer antlers for an over-the-fireplace accent piece, or just have fun experiencing the search in itself. There are three floors to explore, and while it’s not a conventional outlet mall, you’re still sure to find great pieces for great prices. Mr. B’s knows where it’s at. A giant showroom with a multitude of furniture and decor products, Mr. B’s is located on the 80-acre campus of Nebraska Furniture Mart. Shop seasonal furniture, do-it-yourself flooring and carpeting, outdoor-living essentials, and more. Might as well bring the kids. Sunset Plaza Mall sports a food court and a play area. Grab lunch with the family and let the little ones play while you visit with fellow parents and neighbors. The mall offers seasonal events as well so be sure to check the calendar; maybe in the winter the kiddies can visit Santa.